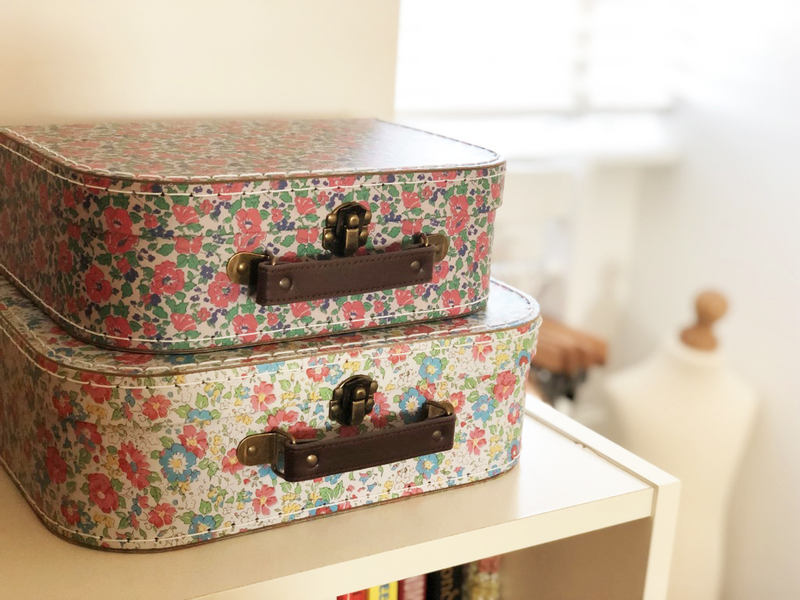 After the Christmas festivities are over, I always get an overwhelming urge to have a clear out, a (premature) spring clean. This year was no different. 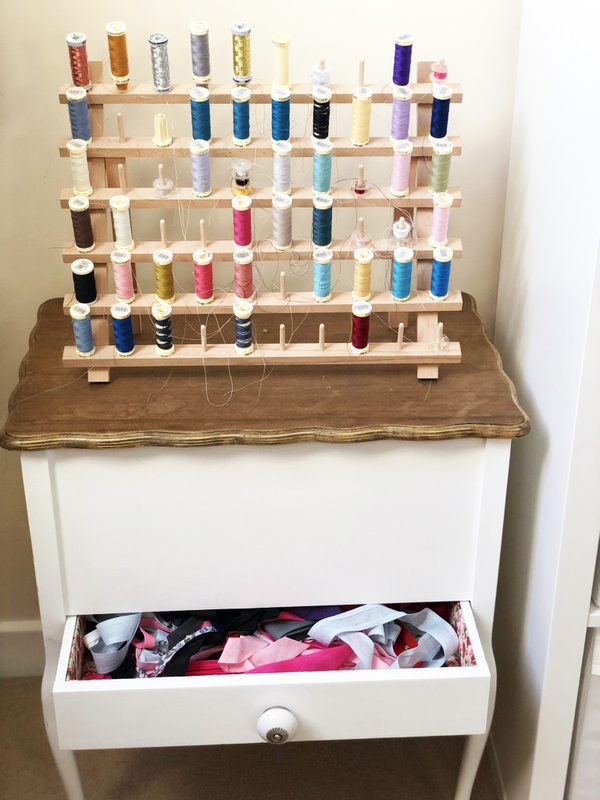 The kids' bedrooms got a good sort out, new storage was assembled and I finally tackled my sewing space. 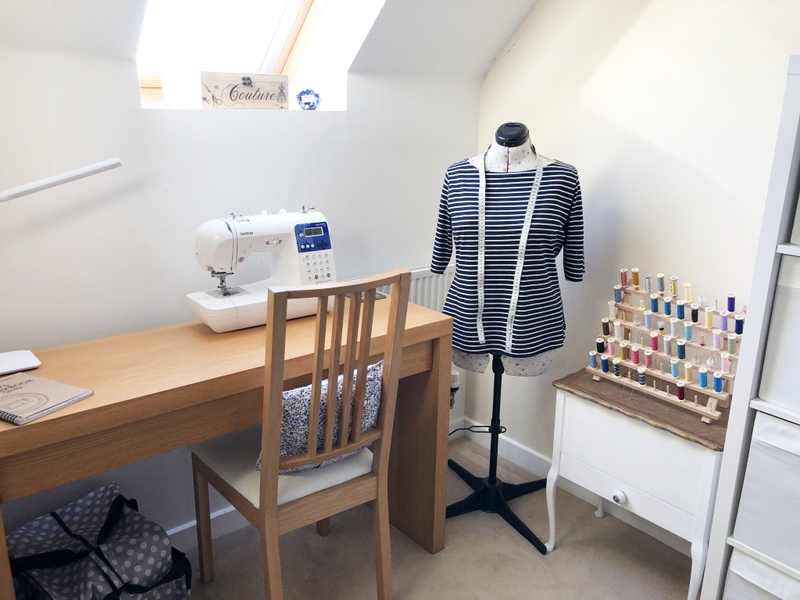 My sewing space isn't a sewing room, but one end of our bedroom (sorry Steve!). 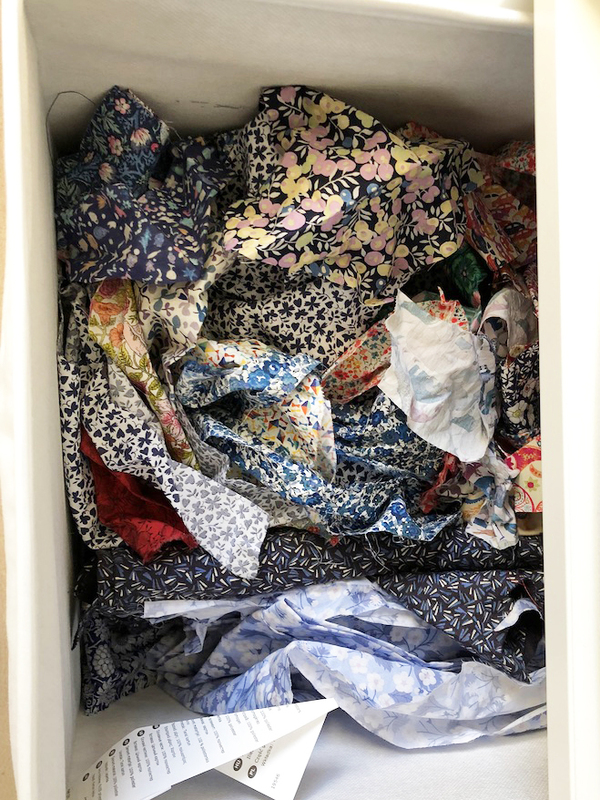 It had got rather overrun with fabric, sewing magazines, muddled up haberdashery and an alarming number of crazy lady bags of sewing stuff. But it's amazing what you can do with a bit of time, lots of recycling bags and a trip to Ikea. 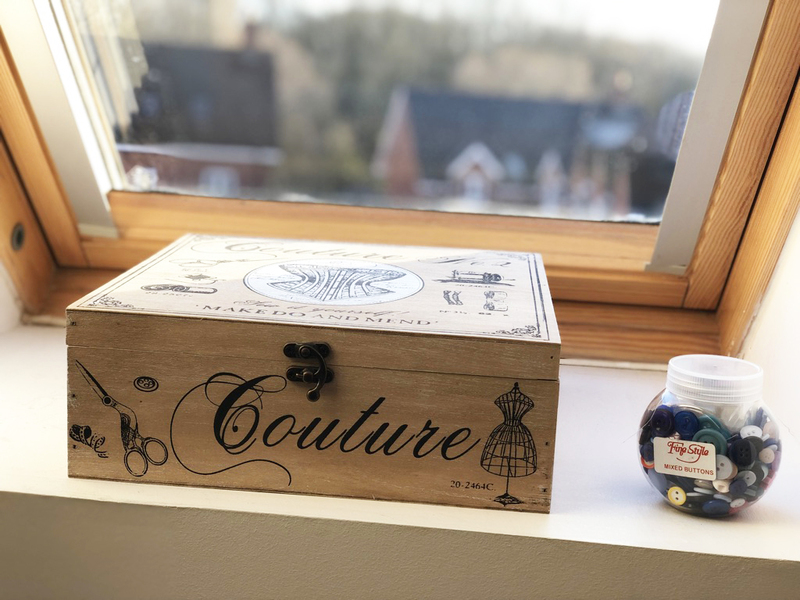 I now have a tidy, bright space to sew, and I've managed to unearth a few treasures in the process. 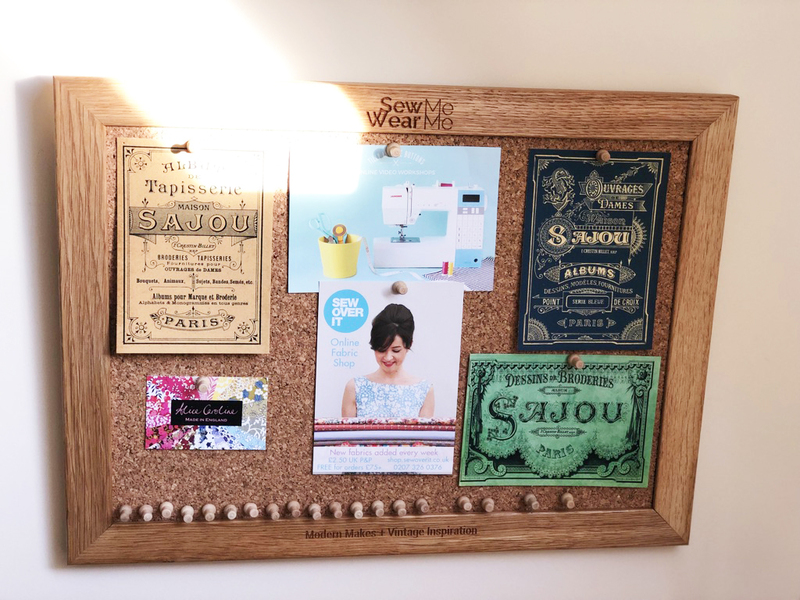 I'm particularly pleased to finally put up my gorgeous noticeboard from Hugo's Workshop, and give my vintage sewing table pride of place (an eBay treasure!). 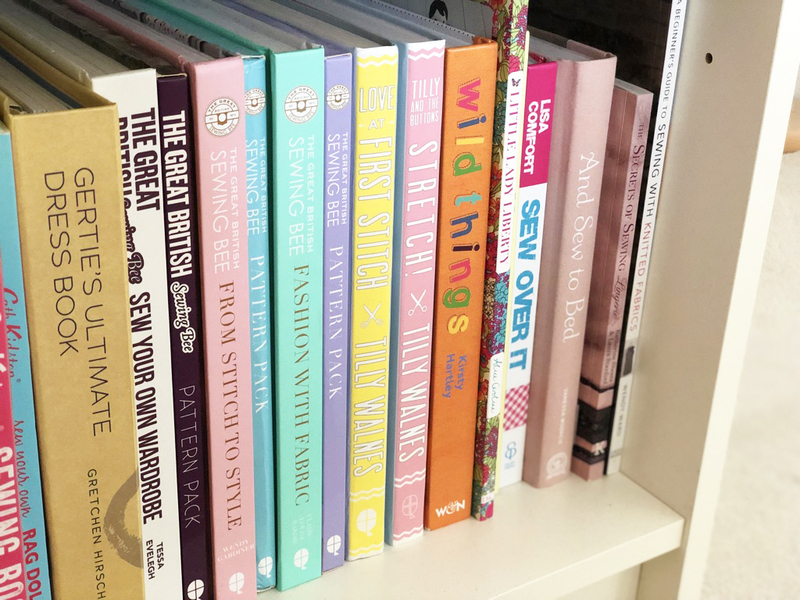 My books and patterns are a bit more organised and I have proper drawers for my fabric stash. 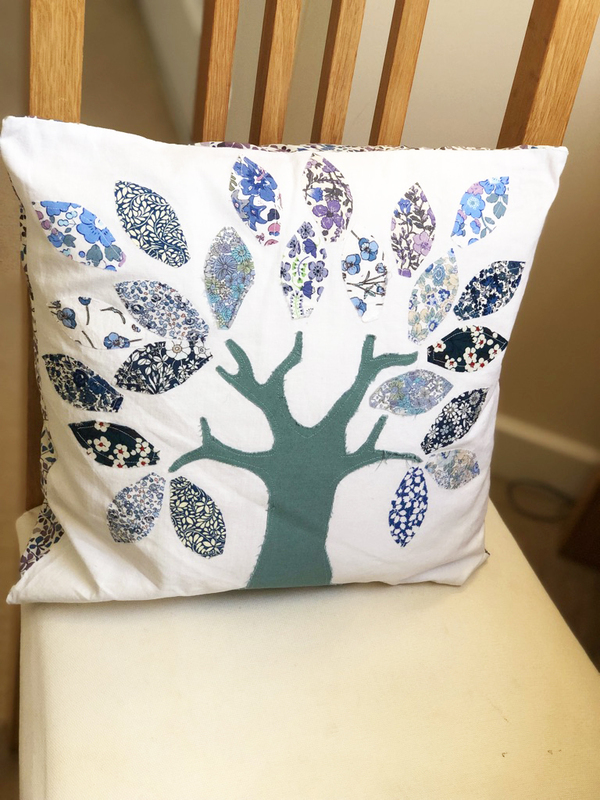 My Sewing Bee tree cushion gets a home, and I have a whole drawer of Liberty scraps! Don't buy any fabric for myself (review fabric and for other people is okay). 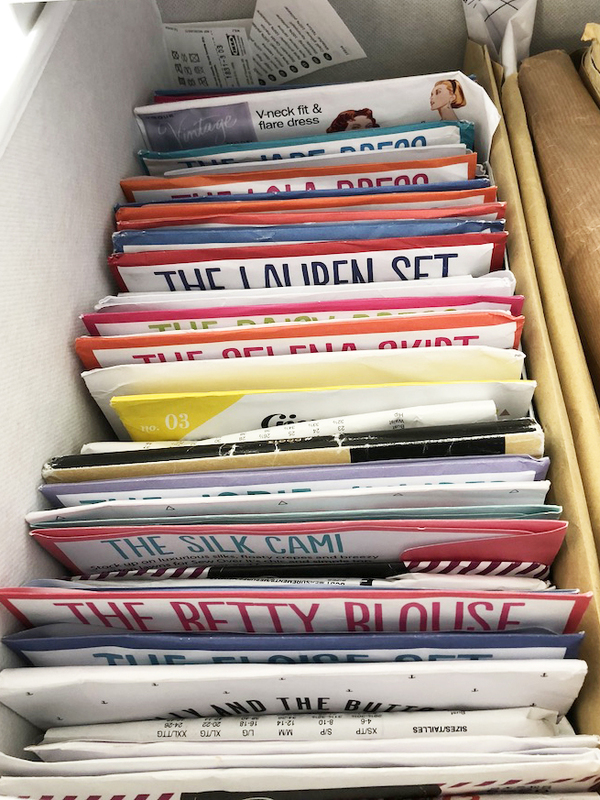 Cut back on sewing magazines (full cold turkey might be just too hard). Make the projects I've planned by the end of the year. 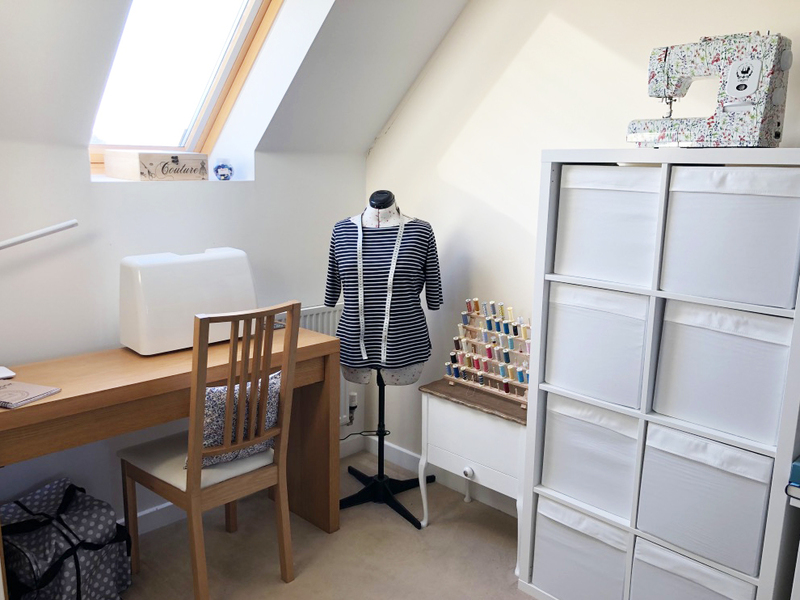 Spend some quality time with my overlocker. I wonder how many I'll actually stick to?